Trump On Kim: We Have A Very Special Bond [VIDEO] - Joe.My.God. 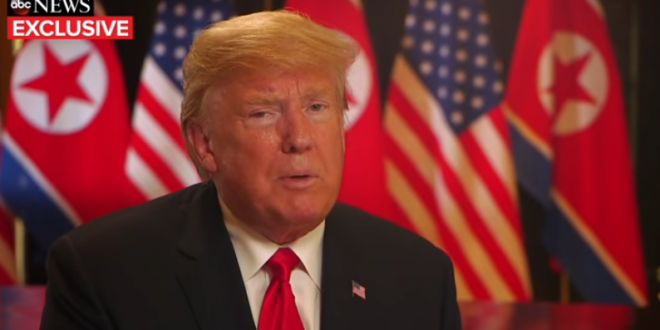 North Korea will denuclearize, President Trump declared in an exclusive interview with ABC News chief anchor George Stephanopoulos just hours after intense and historic negotiations with North Korean leader Kim Jong Un. Stephanopoulos asked how Trump could trust the brutal dictator.